When we think of successful leaders, we often consider their business intelligence – the ability to think and execute in the short-term and plan for the future – as the most important factor of success. Equally important for a leader is emotional intelligence. 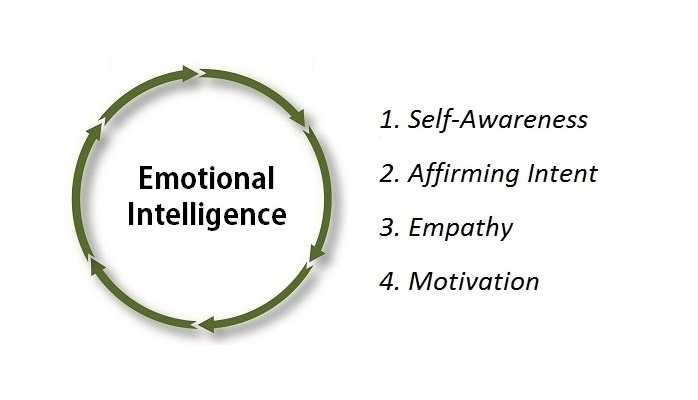 Emotional intelligence is the ability to understand and communicate effectively to different audiences. It’s the ability to understand your own motivations and feelings. It’s the ability to display confidence while at the same time enabling others to feel confident and successful. It gives leaders the self-awareness to understand how subtle changes in their demeanor and speech affect those around them. It helps leaders respond with an affirming intent and manner—even in the middle of a heated discussion—making conversations more productive. It enables leaders to empathize with employees—even those they disagree with—which leads to higher levels of trust. Emotional intelligence gives leaders a view into what motivates different people. Some people want a lot of autonomy. Others prefer to work in teams. Emotional intelligence enables leaders to tap into those motivators to encourage better performance. Avoid rushing to judgment when an employee does something that disappoints you. Slow down and ask questions about what led to the behavior. Listen with an open mind. Examine whether you were at fault for a negative outcome. If so, accept responsibility and be honest with yourself and others about where you went wrong. Think through carefully what motivates the people around you. Engage them in discussions about how best to tap their intrinsic sources of motivation. Use emotional intelligence to figure out how to communicate and support them. Be attuned to your patterns of communicating. Take the survey at GoStraightTalk.com, SixWise.com, or this presentation from Louisiana Tech to learn your style and see how to improve your communication.